October is National Spina Bifida Awareness Month. As you move through your daily life, it’s always a treat to see normal, happy, and active children. 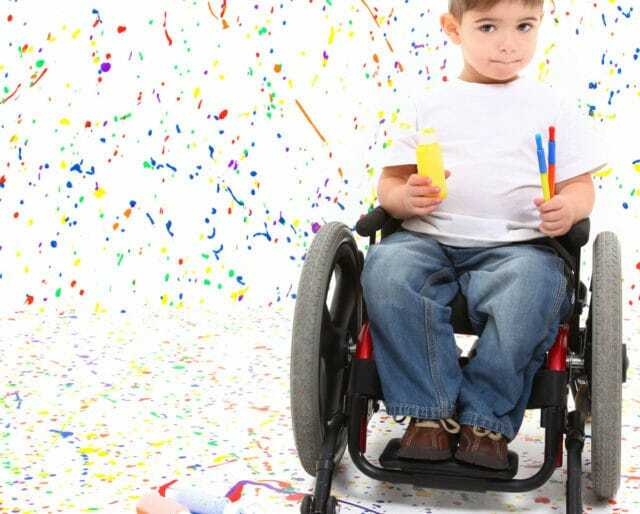 But children with spina bifida may not move easily, if at all, or have other mental and physical problems. National Spina Bifida Awareness Month in October is a time to learn about this common but relatively little understood birth defect that affects between 1,500 and 2,000 infants born each year in the U.S. In October, there are activities, resources, and health and education professionals available to answer your questions — while providing support for parents, teachers, and friends. Luckily, there have been many innovations in medicine that give spina bifida patients innovative choices and hope. ​The National Institutes of Health conducted a study observing 183 fetuses with spina bifida for in-womb and postnatal corrective surgeries. ​There are major innovations in shunt technology during surgeries making it easier to treat spina bifida without inserting shunts or other hardware. ​A noteworthy panel of physicians evaluated 500 spina bifida cases resulting in a new practice of conducting surgeries within 12 to 48 hours after infants are born. ​Two Connecticut physicians collaborated on developing a new kind of shunt in an unsuccessful attempt to save a baby's life. ​In Holland, Dr. Nicholas Tulp used the term for the first time in print. The Spina Bifida Association (SBA) gives everyone a chance to have fun while learning about spina bifida. All over the country, participants are walking or rolling in wheelchairs on non-competitive one mile stretches. This is the SBA's largest fundraiser of the year — bringing in funds for local programs and national research endeavors. Health professionals and advocates invite you to come out with your crew to learn about spina bifida but also to have fun and to make new friends. It's so easy to contribute at the office. There are no checks to write, just easy direct deposit and you're done. Check to see if your employer has a matching gifts program. Remember, whatever you donate is tax-deductible. Your local United Way has a place on its website where you can write in your contribution. During National Spina Bifida Awareness Month, remember the babies. October is your chance to advocate for them with your elected officials. Make a phone call, write a letter or social media post. Attend a town meeting and be heard. Tell your own story whether you or your child has spina bifida or you simply want to voice your much-needed support. ​Because of the creative and life-saving technological advances, about 90 percent of spina bifida patients become adults enjoying beneficial and full lives. ​Folic acid, a form of vitamin B, may help stave off spina bifida if pregnant women eat certain foods like dark, green vegetables, egg yolks, pasta, rice, and whole wheat bread. ​Once physicians detect spina bifida, they can perform corrective surgeries on fetuses in the womb or when infants are just a few days old. ​When a woman is obese prior to pregnancy, her risk for a spina bifida birth increases. Many famous people have been diagnosed with spina bifida including PBS news anchor Judy Woodruff, singer John Mellencamp, visionary artist Frida Kahlo, and former NFL quarterback Elvis Grbac. It's the most common and, in some cases, most disabling birth defect in the U.S. In its severest form, myelomeningocele, spina bifida exposes part of an infant's spinal cord and nerves in the backbone. The defect can cause paralysis in the legs and reduced mental capacity. Spina bifida can also cause seizures and difficulty breathing or swallowing. The most severe form of spina bifida is myelomeningocele but there are two milder forms as well. Spina bifida occulta (SBO) is the most common form with the mildest symptoms. In fact, many people don't realize they have it until they get an x-ray revealing the defect. The only real indication of SBO might be a birthmark or small bit of hair somewhere on the spine. Meningocele is rarer with fewer symptoms — and occurs when a sac of spinal fluid comes through an opening in an infant's back. Doctors aren't really sure why spina bifida shows up in some infants and not in others. Some doctors speculate on a variety of factors that could incite spina bifida including environment and family genetics. Other doctors theorize that if a woman doesn't have enough folic acid or vitamin B in her body, spina bifida can develop. Even though there's no known cause, the birth defect seems to be more prevalent in Caucasian and Latina babies and girls.